Hope everyone had a nice Thanksgiving! I sure did. 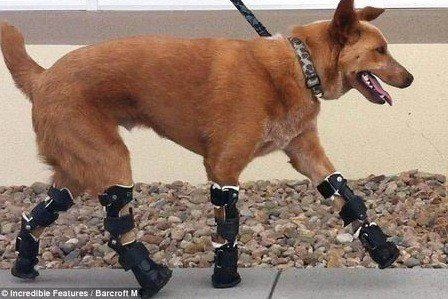 This little puppy's feet had to be removed due to frostbite. 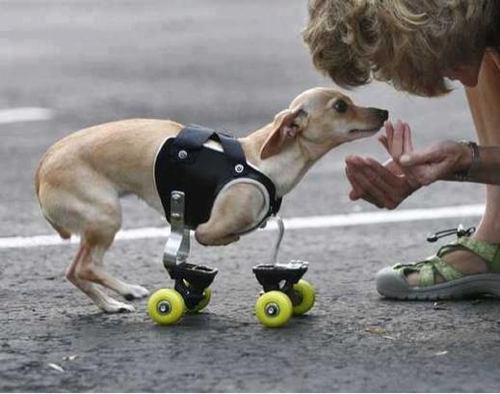 He used to drag himself around on his belly until some awesome person made him prosthetic legs. 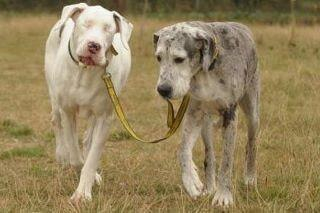 This dog helps out his friend because he has a rare blind disease. 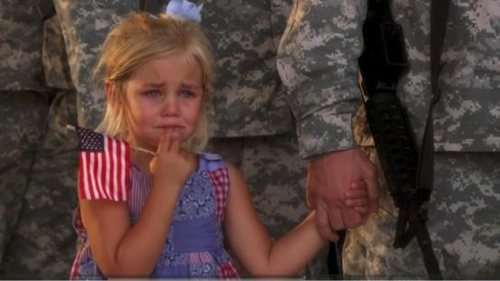 This little punkin didn't want her daddy to go to Iraq. So much so, that when they lined up to leave, she wouldn't let go. No one had the heart to pull her away. 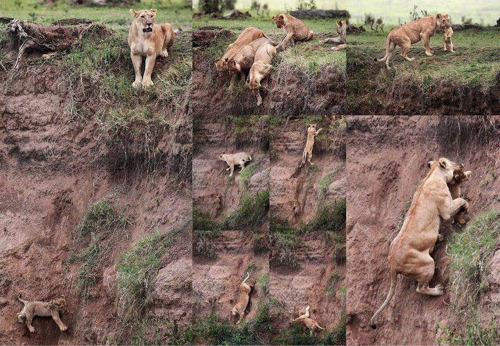 A mother is a mother no matter what kind of mother you are. 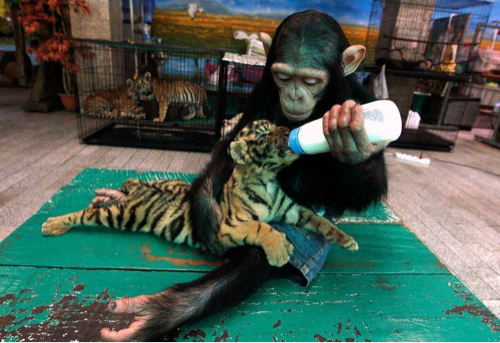 She spent her day rescuing her cubs. This little cutie was born with chicken wing legs. 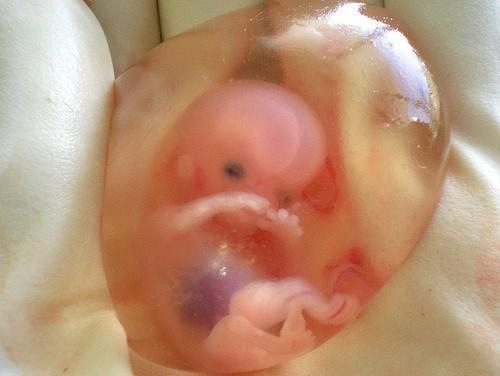 This is a ten-week-old fetus. 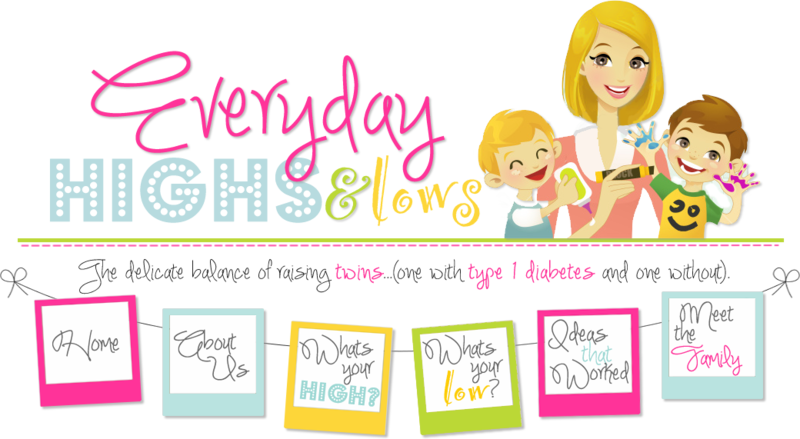 The mother had uterine cancer and had to have her pregnant uterus removed. A med school student held the baby and snapped a picture. She said she wanted to show how precious a life can be even at 10 weeks. This dog's master laid dead under the rubble after a tornado. This dog stayed here for a week. Right here. Totally random but we were looking at pictures tonight and I came across this one! 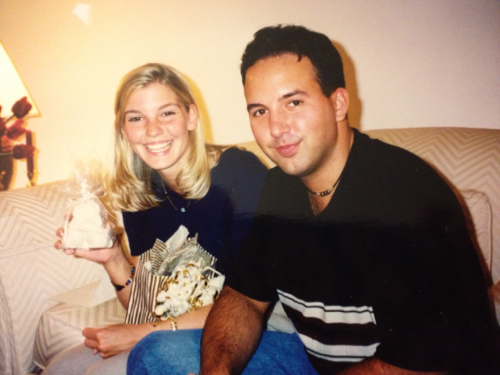 This is a picture of my husband and I when we first started dating. First person to mention how skinny I look, is a rotten egg! Please, don't forget to vote! We only have 5 days left! Thanks for all your help.